Making vegetable soup is not as hard as some of you might think. 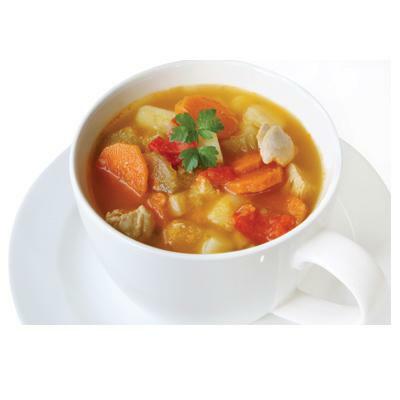 By using the right technique and ingredients, one can easily prepare a quick vegetable soup. It will not be wrong to say that vegetable soup is one of the most easy to make, healthy and tasty dishes that can be prepared. 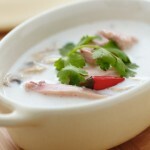 You do not have to be an expert to get this job done as the recipe for making this tasty dish is extremely simple. It contains all the required nutrients, mineral and vitamins that are needed. So what are you waiting for? Purchase the require ingredients from your local grocery store and start making some vegetable soup. Firstly, consider hitting your local supermarket to purchase all the required ingredients including the vegetables, chicken, olive oil, carrots, mushrooms, green beans and potatoes. Once you all the vegetables right in front of you, consider using a chopper to chop up any vegetables. Rest of the procedure is fairly simple. Always be careful while cutting any type of vegetables with a knife as you should be safe at all times and be wary of getting cut. Remember to thoroughly wash all of the ingredients to ensure that it is clean and ready to use. Take a stock pan and place the chopped vegetables including the carrots, onion and green beans in it. Add on table spoon of olive oil and heat gently. Make sure you do not overcook the vegetables to avoid losing their taste and flavour. Cook the vegetables for at least five minutes before adding mushrooms to it. Mushrooms should be added in the end as they require the least amount of time for cooking. Add water, cooking stock, chicken cubes, boiled and crushed chicken, potatoes and rest of the spices into the vegetables and continue to stir as you bring it to a boil. Reduce the heat and cover it. Let the mixture boil gently. Wait for the potatoes to become soft and enjoy your soup by adding cheese or crackers. You can garnish your soup with just about anything that you like as this is a basic dish which you can add some creativity to.